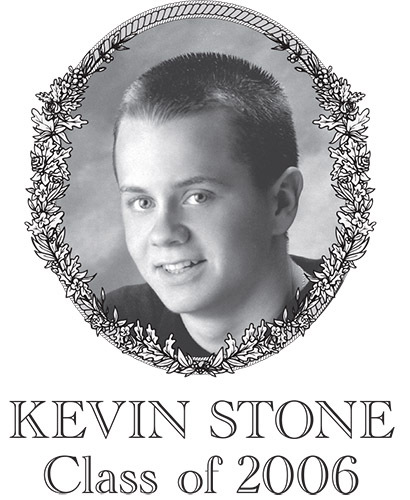 Kevin Stone, Class of 2006, was a three-sport athlete, playing football, basketball, and baseball. Kevin was not just an all-around athlete but was a true leader on all of his teams. He is a true definition of a student athlete, excelling both on the field and in the classroom, where he was a high-honor student. In football, Kevin was a three-year member of the varsity team. On the field, Kevin consistently went above and beyond, always putting in 110% effort. As an undersized lineman, he refused to allow his size to dictate his skill. His leadership efforts over his career led to him being selected as a team Captain during his senior year. Kevin was also awarded the Harry J. McMahon Defensive Player of the Game award on Thanksgiving Day, a stellar accomplishment for a smaller that average defender. Kevin was also selected as a SWCL All-Star in his senior year. On the basketball court, Kevin played the role of a supporting player and team leader during his three varsity seasons, being selected as a Captain his senior year. Kevin played on teams with several high-scoring teammates, including Hall of Fame members Kyle Nadeau, Brian Henderson, and Ryan Daveau, two of which are members of the 1,000 point scorers club. Although Kevin was not known for his scoring next to these teammates, Kevin excelled on the court in other ways. Kevin was a top rebounder and was always assigned to cover the opponents' top scorers, showing unbelievable hustle and grit. His efforts through his solid defense and his consistent support of the offense helped lead the team to both the Southern Worcester County League and Clark Tournament Championships during his senior year. Kevin also was a three-year varsity baseball player, taking a role as a leader again, this time from behind the plate as catcher. Kevin's command of the game was so impressive that, in addition to being a Captain his senior year, it earned him the very unusual trust of his coaches who allowed Kevin to call all the pitches himself during his junior and senior year. Kevin also was solid at the plate, hitting over .400 during his senior year. Kevin was selected as a SWCL All-Star for his senior season of baseball as well. Upon graduating, Kevin attended Syracuse University where he earned a Bachelor Degree in Sports Management. Kevin is currently employed by the Boston Bruins as a ticket sales manager and resides in Watertown, MA.